You are here: Home / iOS / Why Is iOS a Walled Garden? 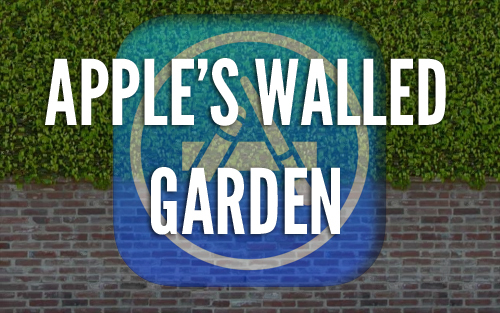 Why Is iOS a Walled Garden? It’s no surprise to anyone with experience on Apple products that the company loves to keep things in the family. 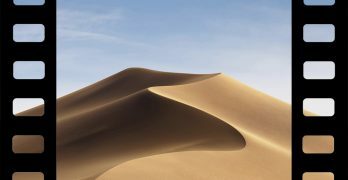 By forcing users to operate in the “walled garden” Apple is trying to give its users the fastest, most integrated experience possible, but is it worth it? By living in the walled garden you agree to a variety of restrictions and give up a lot of control over the device you paid good money for all for the promise of a smooth user experience. 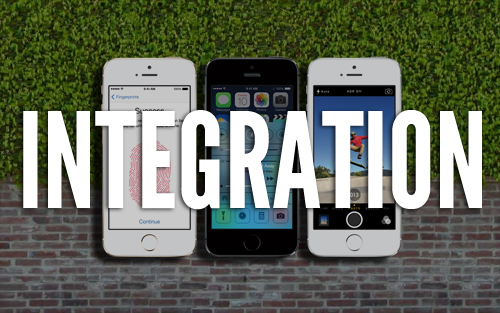 The walled garden allows Apple to control integration with key pieces of the system. Think of this as more of a domino effect than a system of control; one app relies on the next, which relies on the next. Everyone wants the ability to text, Twitter, and email from their favorite apps, but if 3rd party apps were allowed to replace the native apps these might not work as expected. Apple is known for devices and applications that “just work,” so the importance of keeping up with this feeling is vital to the success of Apple. Using Siri is great, but there’s no way Apple could build it and expect it to work well with 3rd party apps like it does with the native ones. This is why it’s so easy to pick up an iPhone or iPad and just start using it. As mobile devices grow the need for syncing data between them is becoming more and more important. It used to be OK to not have the same data on your phone as was on your computer, but today it’s almost ridiculous to not have all your contacts, photos, and music everywhere you want them. Thanks to the native apps, all your personal data syncs smoothly. Your Mac, iPhone, and iPad all get the exact same data. Add in iTunes Match and now your music shows up everywhere, too. If you were allowed to choose a new default application for the music player this syncing and integration wouldn’t work nearly as well. The down side here is that Apple’s sync services aren’t as reliable as they should be. 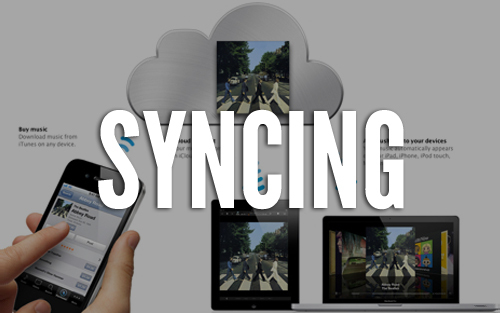 iMessage is meant to sync across devices but not all messages sync all the time. Even though iTunes Match is great, you don’t get the choice to use other less expensive apps like Google Play. 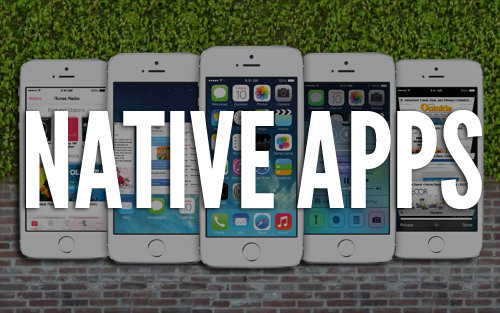 There’s three key parts to an iOS device: hardware, software, and native apps. Since all three of these are designed with the others in mind, they run faster, perform better, and use less battery than their 3rd party counterparts ever could. With the good comes the bad, however. Since the native apps have a set number of features, they generally do less than some aftermarket apps can do. If there’s a player you need a feature in, there’s no way to make it perform like the native apps. The biggest pain with native apps is the lack of updates. The stock apps can only update when Apple issues a system update, so they are rarely given new features on the fly. If a new video format comes out, you need to wait till a system update adds it. So Why The Walled Garden? The real crux of the issue here is whether you desperately need a specific feature that Apple’s native apps don’t offer. The domino effect of one app relying on the next, which relies on the next, is why the walled garden exists. It’s not for everyone, which is why there are other smart phone choices out there. Apples hides iOS inside the walled garden to give you comfort over customization. While some people knock Apple for this, overall it’s the better choice. At the heart of the matter lies the real reason people tweak phones; because they can. Missing a few features here and there is well worth seamless integration with other apps. 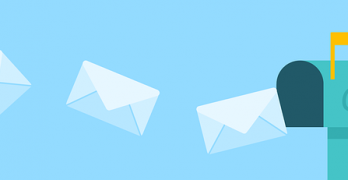 If you really need a different email client, use one. Just know that it’ll never integrate like the native app.